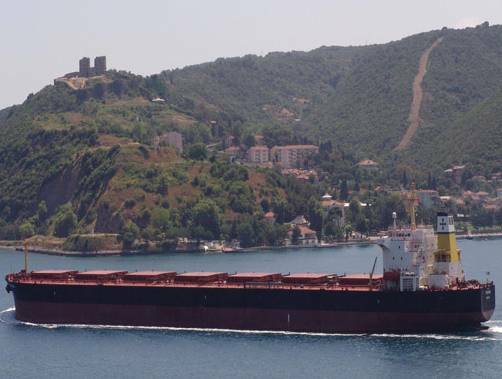 Diana Shipping Inc. has time- chartered out the 75,336 dwt MV Triton to Bunge S.A., Geneva, at a gross charter rate of US$11,000 per day, minus a 5% commission paid to third parties, for a period of up to minimum September 1, 2014 to maximum October 31, 2014. The charter is expected to commence on December 8, 2013. The owners add that this employment is anticipated to generate approximately US$2.86 million of gross revenue for the minimum scheduled period of the charter. Diana Shipping Inc.'s fleet currently consists of 35 dry bulk vessels (2 Newcastlemax, 9 Capesize, 3 Post-Panamax, 3 Kamsarmax and 18 Panamax). The Company also expects to take delivery of 1 Capesize dry bulk vessel at the beginning of December 2013, 2 new-building Ice Class Panamax dry bulk vessels during the first quarter of 2014, and 2 new-building Newcastlemax dry bulk vessels during the second quarter of 2016. The Company's vessels are employed primarily on medium to long-term time charters and transport a range of dry bulk cargoes, including such commodities as iron ore, coal, grain and other materials along worldwide shipping routes.